The United States is in the midst of a horrendous addiction crisis. This movie gets to the heart of one man’s battle with alcoholism and the devastating effect that his illness had upon him. 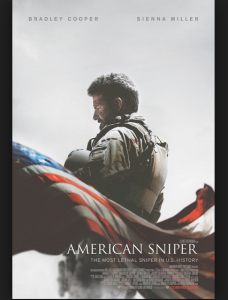 In a post-film discussion with Jack Gibson, one of the writers who wrote the book upon which this film was based, we learned that this movie has been 20 years in the making. It is based on a true story of the main character, John Callahan, who was originally going to be played by the late Robin Williams. As great a job as Williams might have done with this role, Joaquin Phoenix turned in a performance that we strongly believe deserves Oscar consideration. 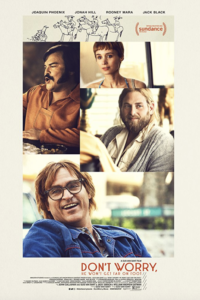 Thanks to his ability to inhabit his character, and what could also be an award-winning accomplishment by the director, Gus Van Sant, John Callahan vividly comes to the screen in various phases of his addiction, including being permanently paralyzed in an electric wheelchair with limited movement of his arms due to an alcohol-related accident. We gained some insight into his childhood experiences which undoubtedly led him to his addiction. We painfully shared his struggle in the AA program where he meets several people, including a young man who has inherited wealth but ends up as an addict, ultimately becoming Callahan’s AA sponsor. This role was very well played by Jonah Hill. 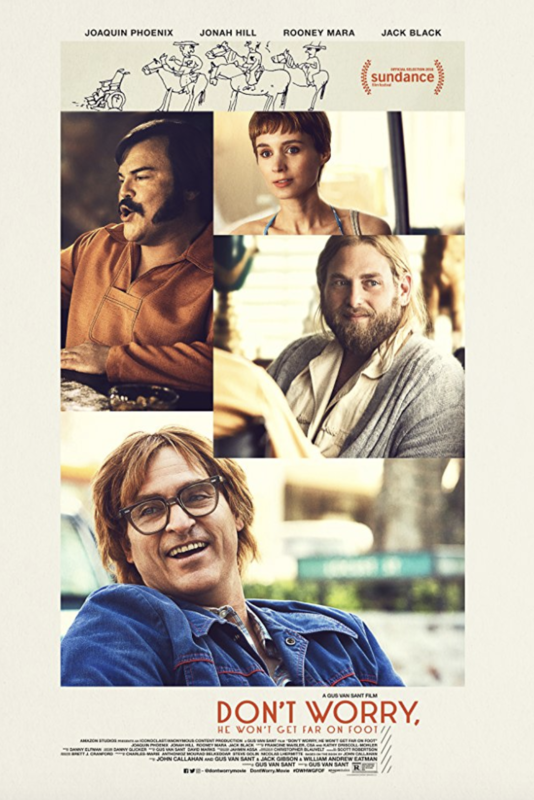 There are also other excellent performances by Rooney Mara and Jack Black. There are so many facets to Mr. Callahan’s battle with his disease which include his finding a way to make love, becoming a successful cartoonist, searching for his birth mother, going through the 12 steps of AA, including making amends, that we are torn between concluding that the film was too long (almost two hours) and yet at times, too superficial and that there were some very important area of his life that we wanted to see in more depth. Wonder Woman may be the box-office bombshell that has women and young girls flocking to the movies (along with the guys) because she is an unequivocal super hero who happens to be a woman. 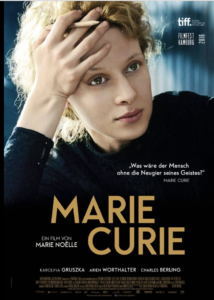 Well, there is another woman on the block and in a few weeks Marie Curie is going to be released in Los Angeles and then in the rest of the country. While this film may not quite have the excitement and actions seen in WW, but certainly, she should be as big hero and role model. Director and screenwriter of this film, Marie Noelle, shared her thoughts from Germany via a Skype hookup projected on the big screen after our preview viewing of this movie. Marie Curie had been her hero as a child because of her scientific accomplishments. However, it was what she learned about her personal life that fueled the filmmaker’s desire to work on this project. Marie Curie was born in Poland and studied in Paris where she conducted the pioneer research in radioactivity. She discovered radium and how this could be used to treat cancer. She won two Nobel prizes and was the first woman accepted into the French Academy of Science despite great resistance because she was a woman. 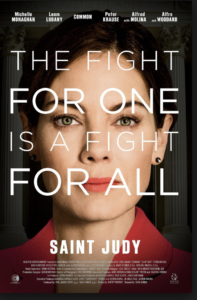 A major focus of this film however was not only the resistance to her being recognized because she was a woman, but also because it became public knowledge that she was having an affair (after her husband died) with a married scientific collaborator and actually, had been threatened by the knife-wielding slighted spouse. This obviously would have been a non-issue had she been a man. 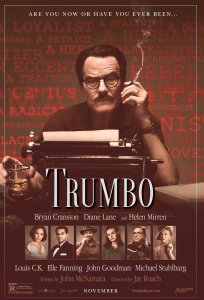 It is ironic that this documentary film about one of the pioneer film producers who often was the key person in getting a film green-lighted has just been completed and is now looking for distribution. 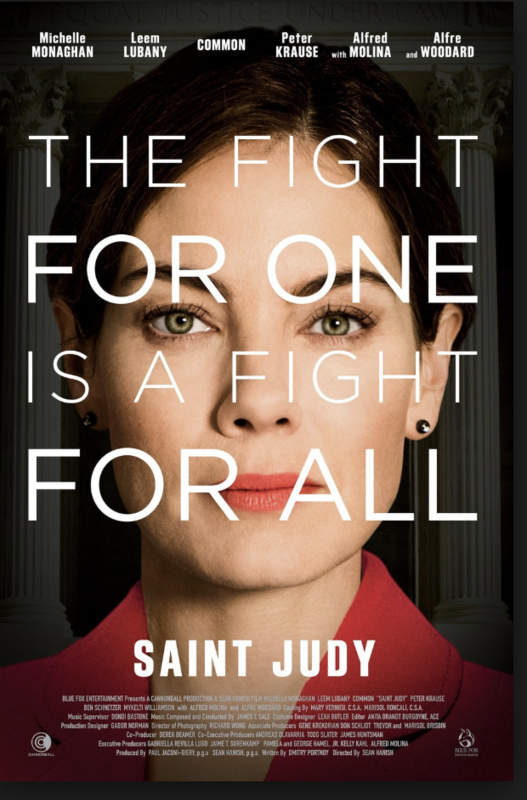 Marcia Nasatir, who is about to turn 90 years of age is the subject of this movie. She was the first female vice president of production of a major movie studio (United Artists). 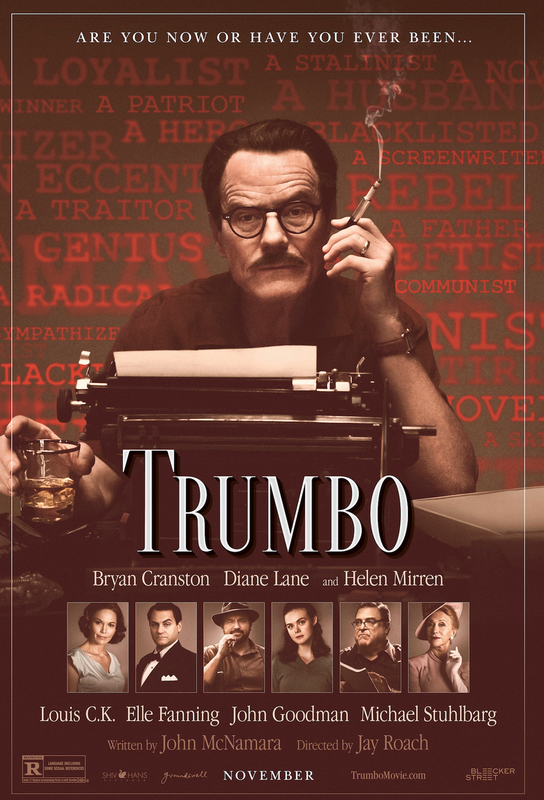 The director producer of “A Classy Broad” is Anne Goursaud, an accomplished film editor who is hoping that this movie will be her breakthrough film. It is is all about inside Hollywood. Ms. Nasatir, the centerpiece of this documentary, is well-known, well-liked, and well respected by many legendary movie insiders some of whom appear in this film. Prominent among this group was Mike Medavoy, former Chairman of Tristar and United Artists, and co-founder of Orion Pictures. 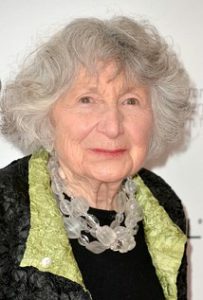 Others include screenwriters and directors such as Lawrence Kasdan, Tony Bill, Lucy Fisher, Rob Cohen, Robert Towne and the late Lorenzo Semple, Jr. We also hear numerous stories about Ms. Nasatir’s role in many successful movies, such as One Flew Over the Cuckoo’s Nest, The Sting, Hamburger Hill, Coming Home, Rocky The Big Chill and many others. Also appearing in the documentary is actress Glenn Close, who is one of the stars of The Big Chill. Ms. Nasatir’s career was “rocky” itself as she was sometimes passed over for promotion, no doubt because women were not just moved into these leadership positions in the film industry during the 1970s and ‘80s. 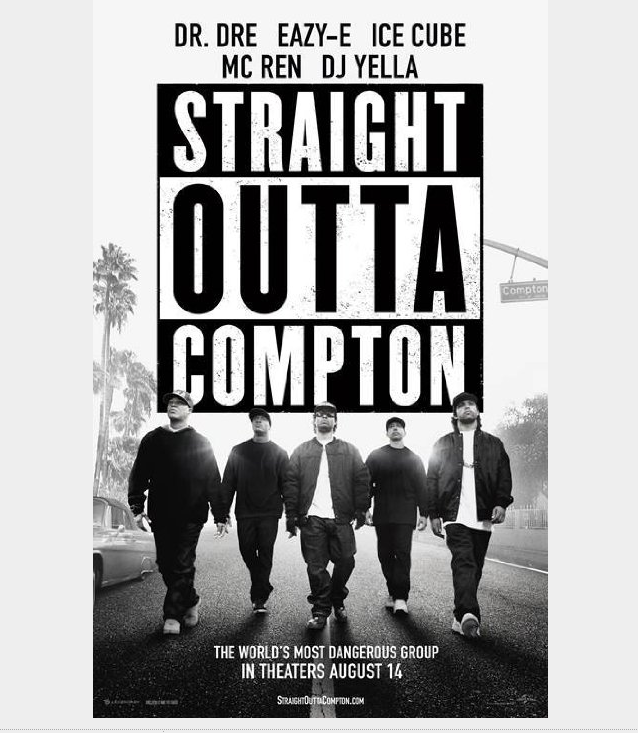 This is not your typical biopic that simply traces the life story of an important person. It is rather a cinematic representation of the powerful, free flowing, unpredictable, abstract and arresting sound of the music of Miles Davis. It tumbles on to the screen as his music emerges from his trumpet. We absorb a sense of this man and his music rather than understand a chronological progression that has growth and coherency. Don Cheadle, actor, director and screen writer of this movie has chosen to use as his point of departure the approximate five-year period in the mid 1970s where this productive jazz artist ceased to produce any music. 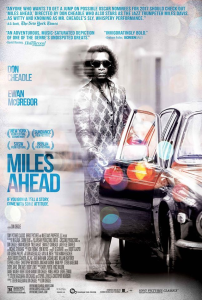 We meet Miles Davis (Don Cheadle) when a reporter who says he is from Rolling Stone Magazine (Ewan McGregor) visits him with the hope of interviewing him and finding out why he is no longer on the music scene. This leads to flashbacks and flashforwards, cocaine binges, car chases, the search for a tape of a recent personal recorded session by Davis as well as a glimpse of the personality of Davis and his relationship with Francis Taylor (Emayatzy Corinealdi) a beautiful woman and dancer who was his wife for ten years. We see that Davis at least in his early life was a somewhat self-centered, arrogant man who loved his woman and also abused her. Of course he was a musical genius who came of age in the mid-1950s and ‘60s and we also were shown examples of the impact of the ugly sector of racism as he was arrested for standing on the street in front of the night club where he was the headline performer and put in jail for the night. We are introduced to a young musician called Junior (Lakeith Lee Stanfield) who is intertwined in the plot as Davis tries to find himself during his five-year unproductive period. This young musician could be symbolic of the many young musicians that Davis has helped on the way up, including Wynston Marsalis. He also could represent the very young Davis himself who pushes the now middle aged Davis to pick up the mantle where he put it down half a decade ago. 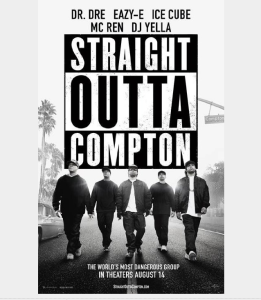 This Oscar nominated documentary biography will grab you and hold your attention and your emotions. You will re-experience the meaning that the Civil Rights Movement may have had to you and how you understand its significance in this country. Music as it always does, creates and brings out deep-rooted feelings and the haunting music and lyrics of this gifted singer and musician will do just that. You will come to understand who Nina Simone was and where she came from and what she was trying to do. 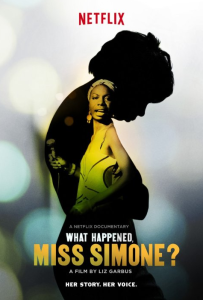 But this film will also raise questions about Miss Simone, as a wife, mother, and troubled soul that will remain unanswered although undoubtedly you will share our admiration for her. Nina Simone grew up as the preacher’s daughter in North Carolina. She was noted to have musical talent and as a young girl she played the piano in church. She went on to get formal music lessons and she had a lifelong unfulfilled wish to be the first black classical concert pianist. She also , clearly, experienced the pain of the Jim Crow South and multiple occasions of blatant discrimination because she was black. This film documents what she did become and that is a widely acclaimed blues singer with a very distinctive style. When the Civil Rights Movement burst upon the scene, her music and words became part of its anthem alongside of Martin Luther King and others. This was symbolized by the controversial song “Mississippi Goddamn”( click to hear this great song) which was embraced by the movement but apparently ultimately marginalized Miss Simone’s ability to work in the musical industry. The details of Miss Simone’s journey were very well documented with film clips and interviews with people who were very close to her including lifelong friends, fellow musicians, her husband, and her now grown daughter. 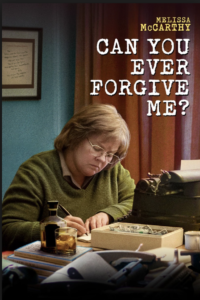 One of the most fascinating and convincing parts of this documentary film was the showing of the handwritten pages of her own diary. These scribbled words with printed subtitles at the bottom of the screen, documented her love and dependency on her husband, a former New York City policeman who guided a good part of her successful career but also apparently viciously beat her according to her own words. We do not really understand why and how she tolerated him so long before divorcing him. Nor do we understand how she could suddenly leave her loved only young daughter with her good friend and abruptly go off to Europe to try to revive her career.